Click on Maps. If you have not already created one, see Create a Curriculum Map. Click on the Curriculum Map. 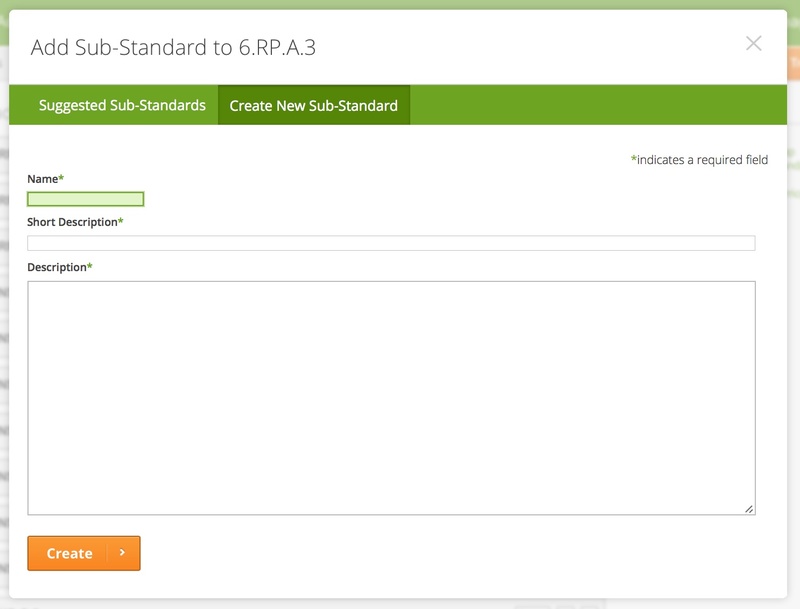 Hover over the menu button for the standard where you want to add sub-standards, and click on Add Sub-Standard. 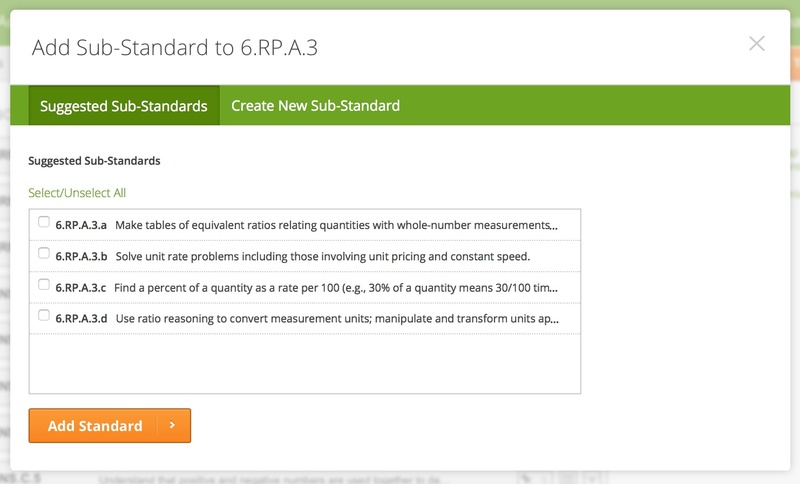 If the standard you selected has suggested sub-standards, check the boxes next to each sub-standard you want to add. If you do not see any suggested sub-standards, there are not currently any available for that standard. Once you've selected the sub-standards, click on Add Standard. If the standard does not have suggested sub-standards, or you want to create your own, click on Create New Sub-Standard. Enter the name and short and long descriptions. Check the box if you want to apply this to all of your trackers, then click on Create. Your sub-standards will stay connected to the main standard, but you can drag and drop the standard to rearrange it in your map.